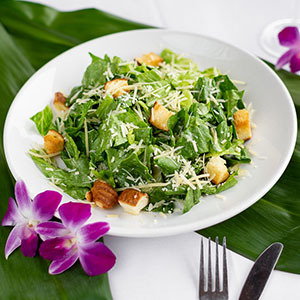 Build the perfect salad for 2 or more people with mixed greens of romaine, iceberg and green leaf lettuce, Napa and red cabbage, hearts of palm, Bermuda onion, mushroom, cucumbers, carrots, bell pepper and croutons. *Priced per person and served in dining room only with no substitutions. Fish entrées are served with two sides of your choice: broccolini, bok choy, vegetable stir fry, sautéed spinach, coleslaw, jasmine rice, brown rice, mashed potato, baked potato, or french fries. Twice baked potato or asparagus available for an extra charge. 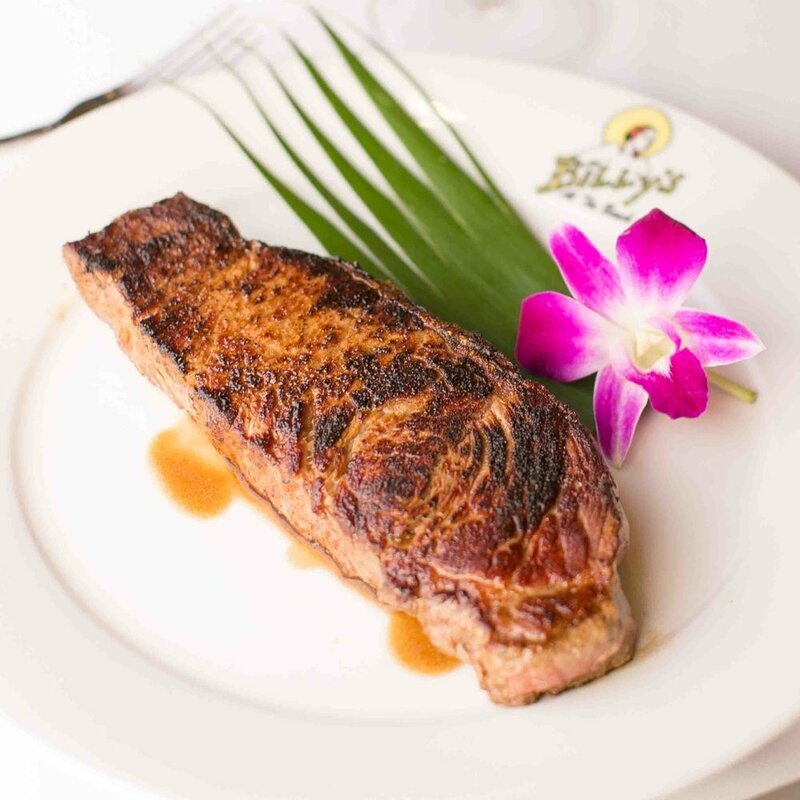 Hawaiian yellowfin ahi seared rare and blackened with Cajun seasoning or sesame crust, laid on top of beurre blanc then finished with Dijon soy sauce. Pan seared, then baked in the oven and served with a side of white wine beurre blanc sauce. Served on top of mashed potatoes and sautéed spinach covered in pesto and fresh herbs and mango beurre blanc. 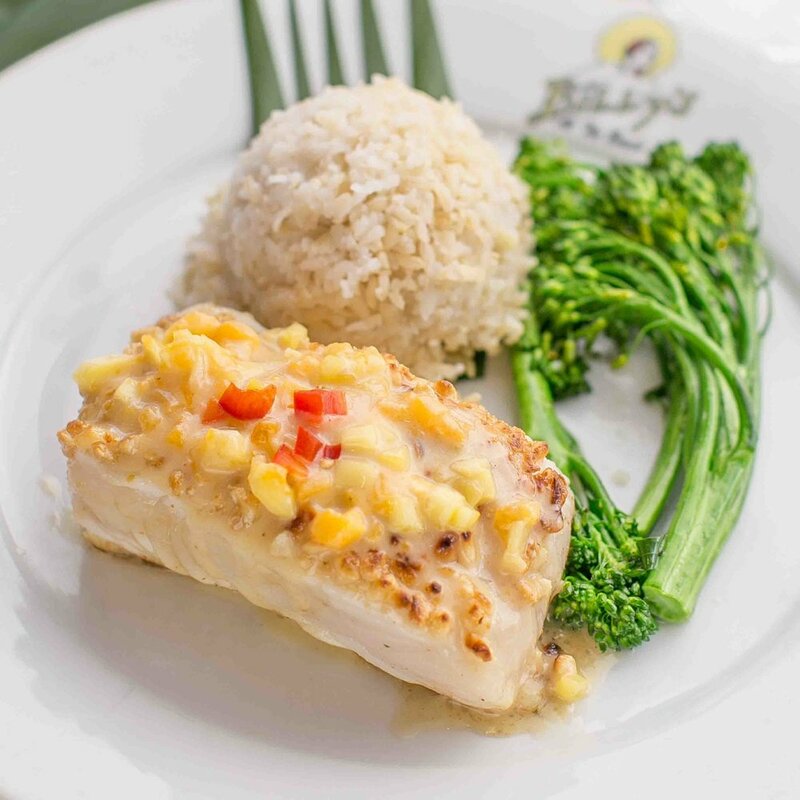 Line caught in Hawaii, this delicious fillet of swordfish is served grilled or blackened with a home-made smoked lobster sauce. Hand cut USDA Prime 100% Eastern Corn Fed Angus Beef petite filet grilled to order. Served with a spiny lobster grilled in the shell. A pair of 4 ounce Filet Medallions with crispy Maui Onions, Baby Bok Choy, and French fries. 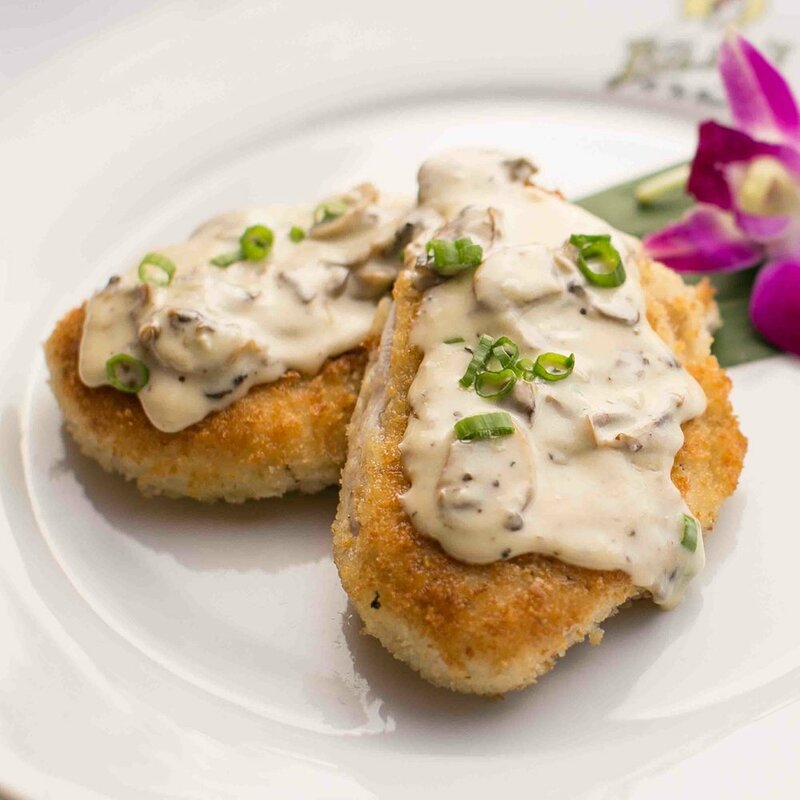 Panko crusted Shelton Chicken breast finished with a creamy mushroom sauce. All steaks are USDA Prime 100% Eastern Corn Fed Angus Beef Hand selected and aged for a minimum of 28 days. Hand cut USDA Prime 100% Eastern Corn Fed Angus Beef grilled to order. FOR THOSE WHO HAVE FOOD ALLERGIES OR DIETARY RESTRICTIONS-PLEASE INFORM YOUR SERVER. CONSUMING RAW OR UNDERCOOKED MEATS, POULTRY AND SEAFOODS MAY INCREASE YOUR RISK OF FOODBORNE ILLNESS.